Remembrance of the First World War now generally concentrates on November, the month of its end, but there is no more poignant place and time to ponder its pain and horror than an English village on a sleepy summer’s day. And surely no English village could provide a finer setting for a walk of poetry and memory than Mells, where the great war poet Siegfried Sassoon lies buried, and the fine and famous work of Edwin Lutyens, Alfred Munnings and Eric Gill honours the men of the village who went to war not to return; who, in the words of Robert Bridges, never regained “the home of their delight”. Poignant, painful, anger-making and despair-provoking, with as strong a message today for the same follies and insanities: there is a fine line to be taken between outrage and sentiment in any commemorative programme of those terrible years. 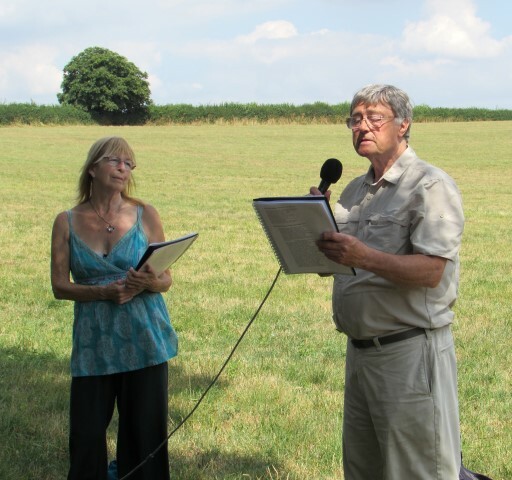 But this was movingly and tuggingly achieved by the latest Frome Festival poetry walk, three miles of verse and pause “In the Footsteps of Siegfried Sassoon”. 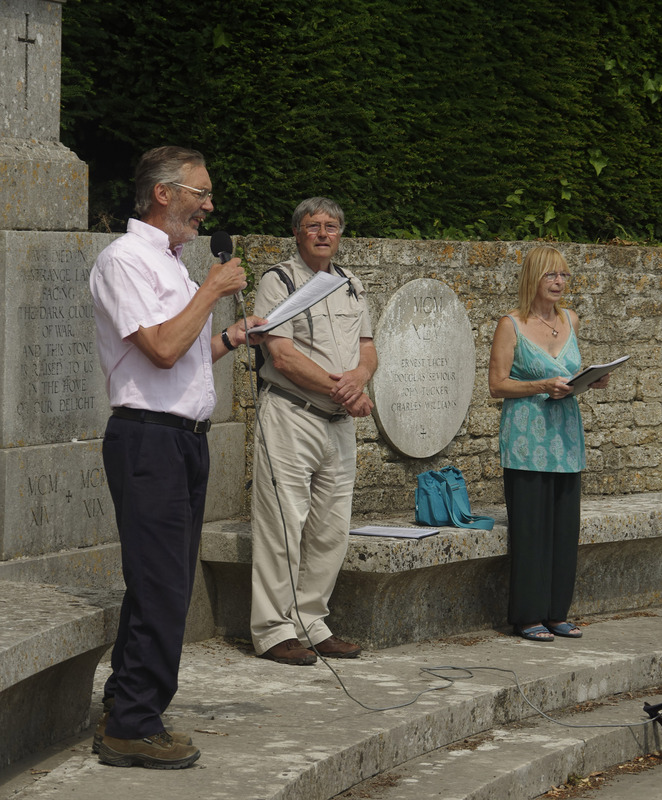 The poems, with accompanying commentary, were tellingly delivered by Frome author John Payne, who devised the programme, poet Crysse Morrison and Festival President Martin Bax, drawing on his experience as a former member of the Royal Shakespeare Company, never better than with Sassoon’s brilliant, disgusted punchline of a poem, The General. The strength of the production was in its restraint, with none of the three finding need to underline or emphasise the ache and the loss when it was all around in the gentle Somerset countryside and the old honeyed stone and the occasional breeze shaking the heat and the quiet and the far crops. No need when standing before the Mells War Memorial, designed by Lutyens and inscribed by Gill with its long list of echoing country names, Burge, Long, Fricker, Tucker, Vranch, equal in death. Nor at Mells Church, with the statue of Edward Horner on horseback by Alfred Munnings, of brave youth wasted and frozen in time. Nor was the cruel part given to those who waited or helped just added on as some sort of afterthought. 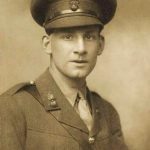 Absence-filled and anger-shot poems by Charlotte Mew, Sara Teasdale, Eva Dobell and Eleanor Farjeon were read; none was more affecting than Vera Brittain’s Perhaps, written for Roland Leighton, her fiance, killed in 1915: “Perhaps some day I shall not shrink in pain/To see the passing of the dying year”. And if you were of an over-sentimental and possibly foolish turn, it was easy to imagine these long-gone men and boys enjoying the inconsequential talk from the 30 or so walkers interspersed with the solemnity along the trail, the chatter about allotments and committees and teas and Wimbledon; because this, in some sense – if it makes any sense – was what so many of them believed they were fighting for. 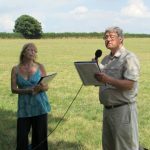 The programme drew on the Home of Our Delight project, led by Rook Lane Arts Trust and funded by the Heritage Lottery Fund, which has examined the effect of the war on Mells, its people and surrounds. 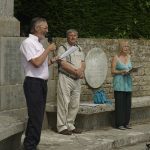 On its way through the village to an end by Sassoon’s grave, the walk halted at a resonance-laden result of the research, the cottage of Arthur Long of the North Somerset Yeomanry, Boer War veteran, father of three, star of the village’s last pre-war production, The Merry Wives of Windsor. 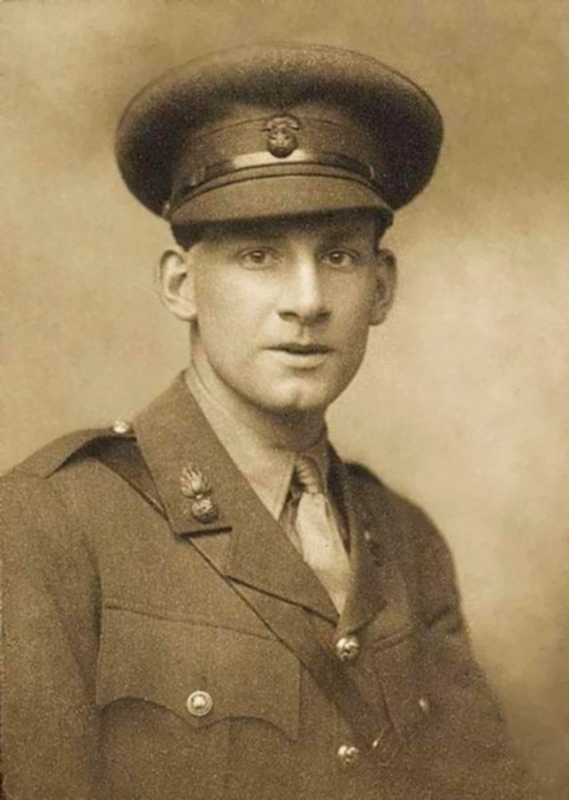 He was cut down at Ypres in 1915, like his neighbour, Edgar Chamberlain, two years later.